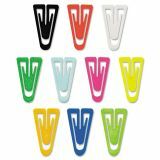 Medium Assorted Color clips are great for color-coding or signaling your papers and files. 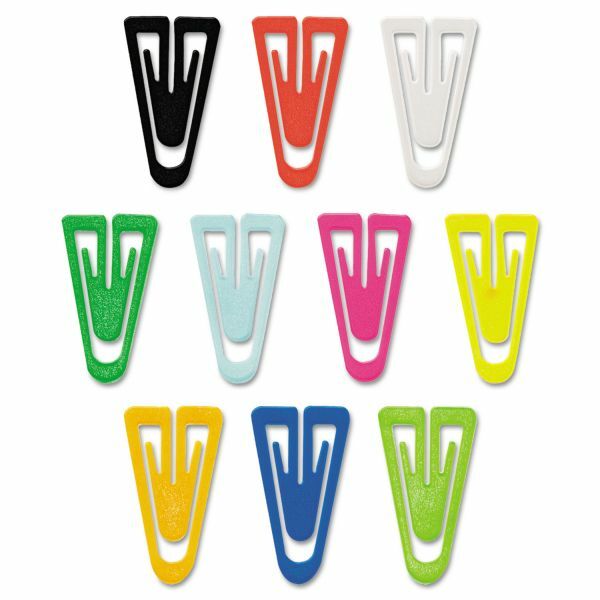 Made of strong plastic, these clips hold paper tight without marring. Will not discolor paper or film. Note: A minimum quantity of 72 must be ordered, and in units of 72 thereafter. 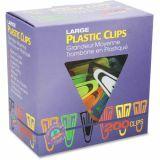 GEM Plastic Paper Clips, Large (No. 6), Assorted Colors, 200/Box - Bright assorted colored plastic medium clips hold papers securely and prevent tearing. Perfect for coding and flagging. Will not discolor paper or film. Non-magnetic.